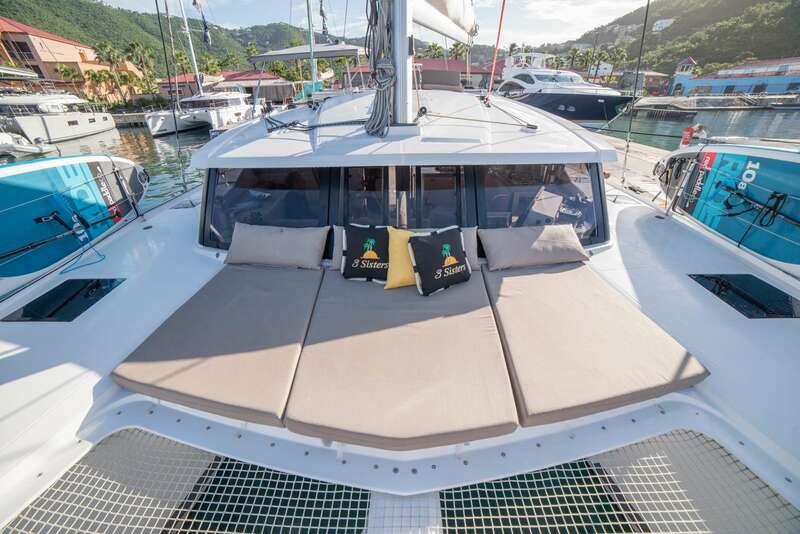 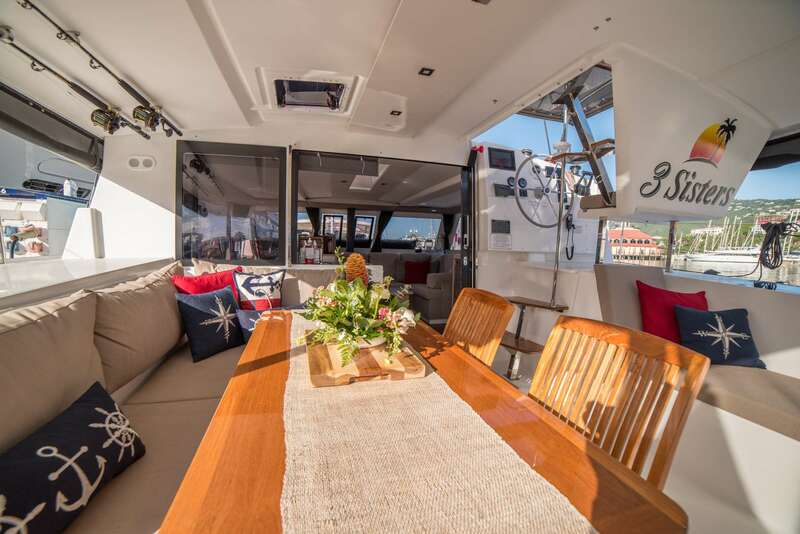 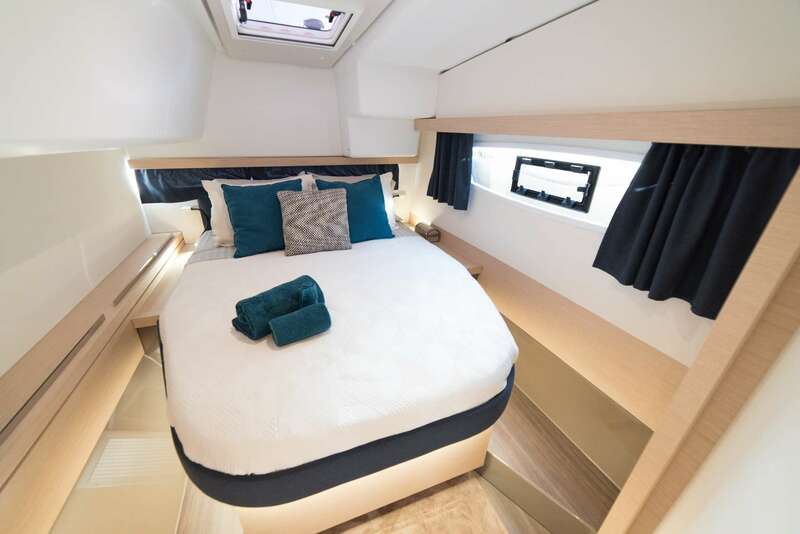 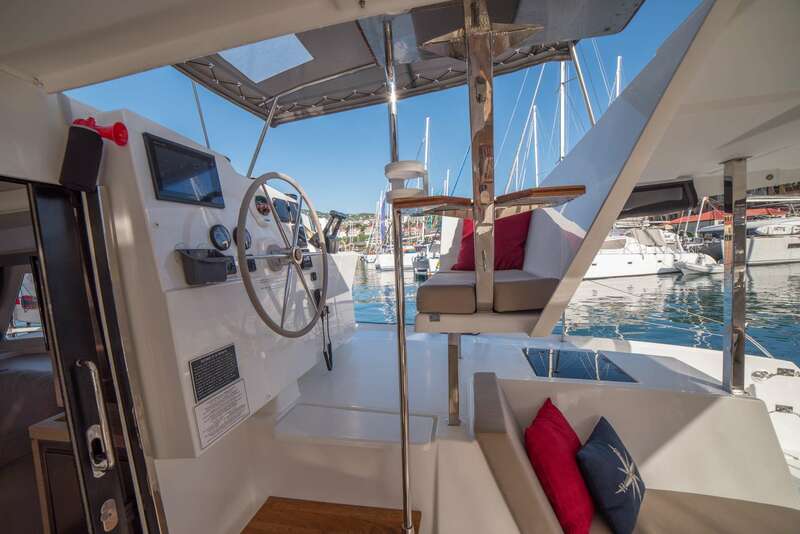 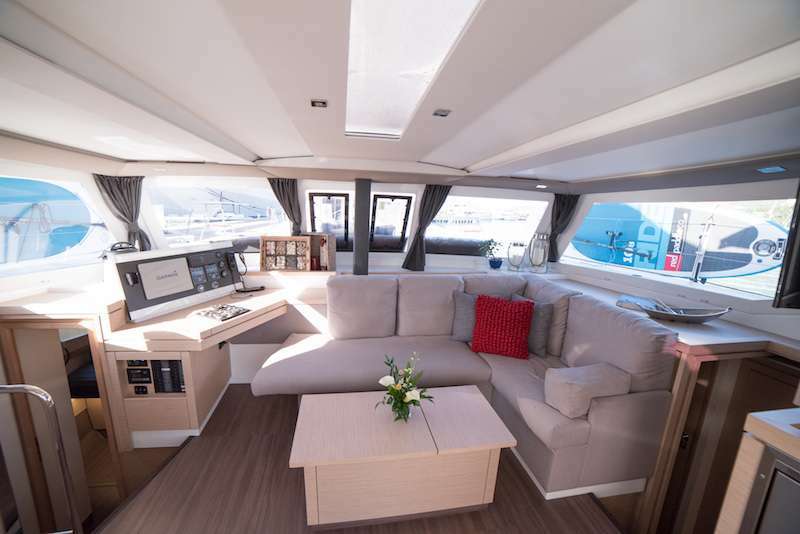 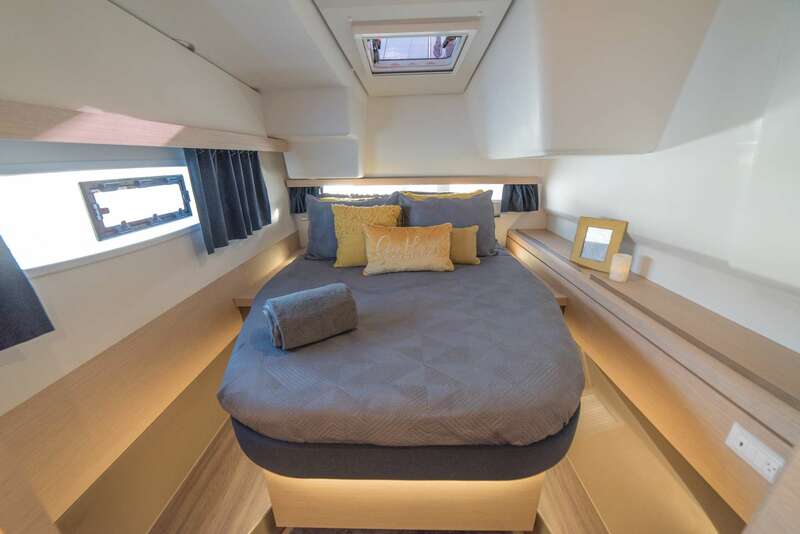 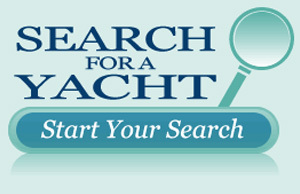 This yacht is spacious and comfortable both inside and out, and it's no slouch under sail. 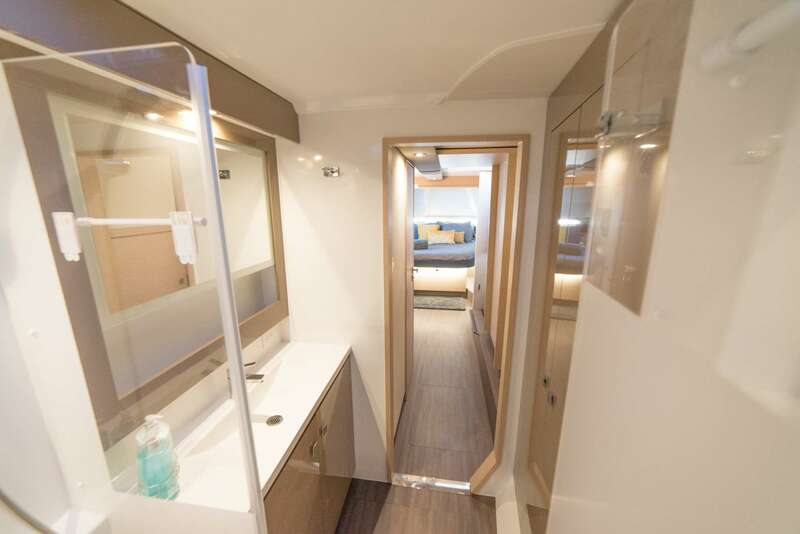 King cabin has ensuite bathroom with electric heads, shower stall and wash basin. 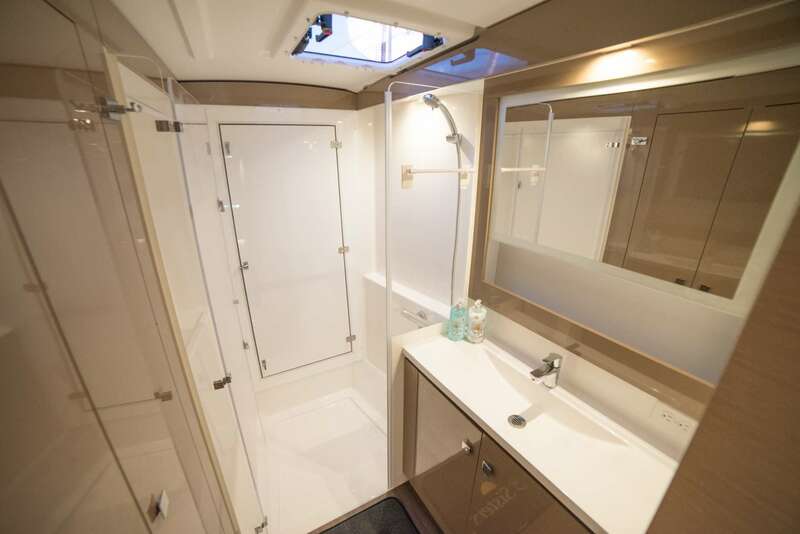 Queen has separate private bathroom next to the cabin.